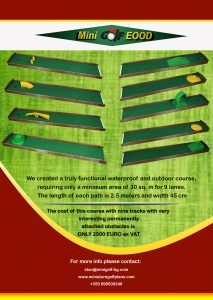 Due to the many questions and requests for the lowest possible prices on a portable minigolf courses, we created a truly functional waterproof and outdoor course, requiring only a minimum area of 30 sq. m for 9 lanes. 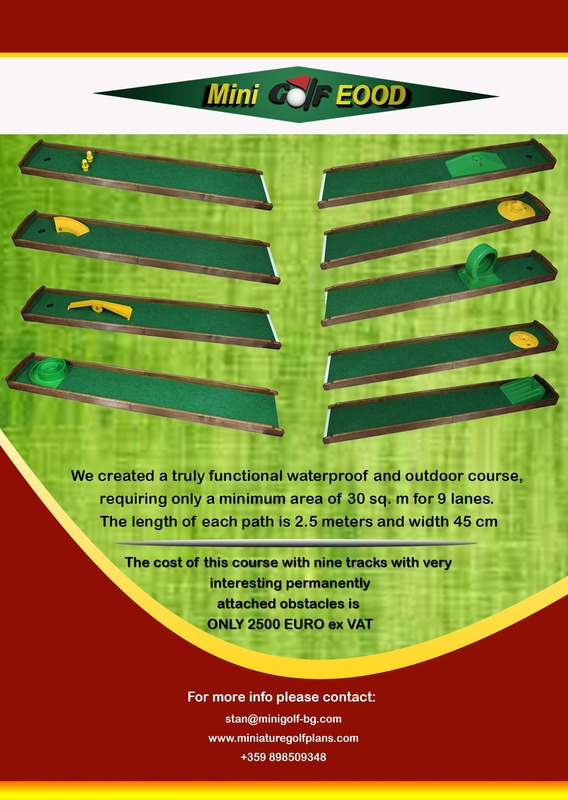 The cost of this course of nine tracks with very interesting permanently attached obstacles is ONLY 2500 EURO VAT excluded . The length of each path is 2.5 meters and width 45 cm. Despite the relatively small size , the game is more interesting and challenging, thanks to the specially designed obstacles for such distances. This investment would be back in just a few short months and should not be a problem to make it for the start of this season. Our miniature golf courses are mobile, without special handling. They are durable, easy to assemble, light weight, can be used indoors or out, and will have a long life and a good resale value. The required area to set up a 6 hole minigolf course is only 60 sq. 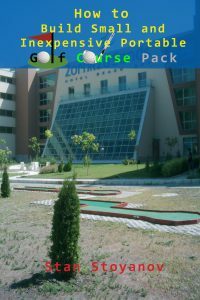 m.
A complete 9 hole portable mini golf course can be set on 100 sq. 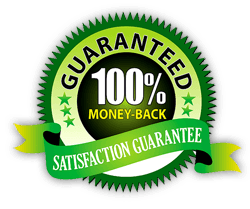 m.
Our courses can be set up or removed in 30 minutes or less by 2 people without any tools and can be used almost anywhere indoors or outdoors. 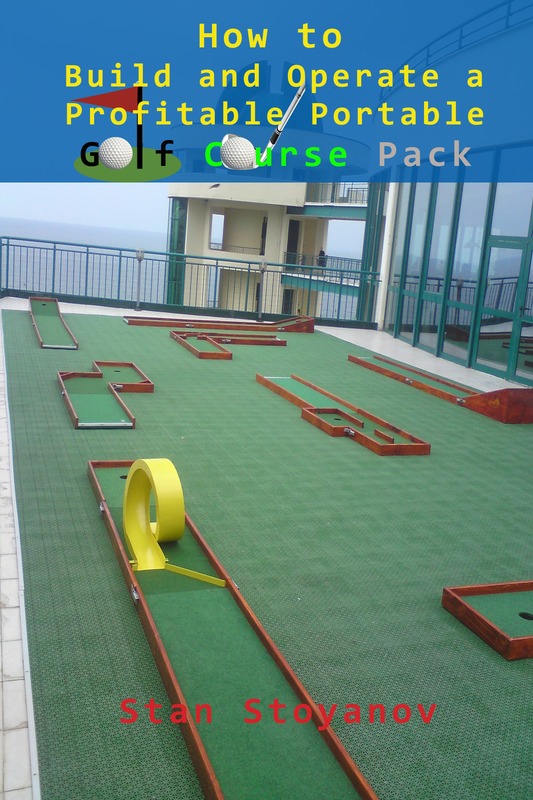 The price of 6 hole minigolf course is only EUR 4800 plus shipping costs. 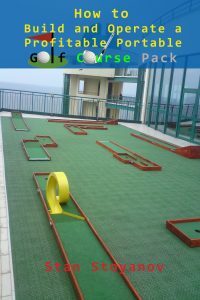 9 hole mini golf course cost EUR 7 200 and 18 hole complete portable minigolf course is only EUR 14 400 plus shipping expenses.